Spray Foam Hoses take a beating when dragged around job sites. It's not long before roll a fter roll of duct tape are used in attempt to patch and repair existing hose socks. We have seen it all, carpet underlay, insulated tarps, even denim pants used to protect and insulated spray hose. Operators hate how bulky, unwieldy and cumbersome the hose is to operate. Your production slows, hourly wages rise and your profits decline. Even worse, colder temperatures arrive and present the challenge of maintaining proper SPF temperature. while loosing yield on each and every job! Sidewinder SPF Products are designed to maximize yeild and performance by providing unmatched abrasion protection and thermal retention. Sidewinder is available in multiple configurations to fit both spray hose and hose couplers. 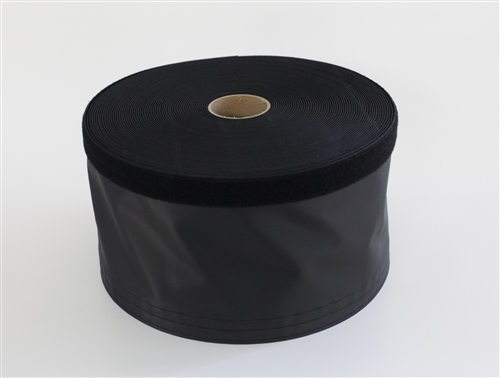 Consider investing in the non-insulated sleeve to cover your bundle. For contractors in colder regions such as the northern United States and Canada, adding Insulated Sidewinder over the existing non-insulated guard ensures that every day is a money maker! 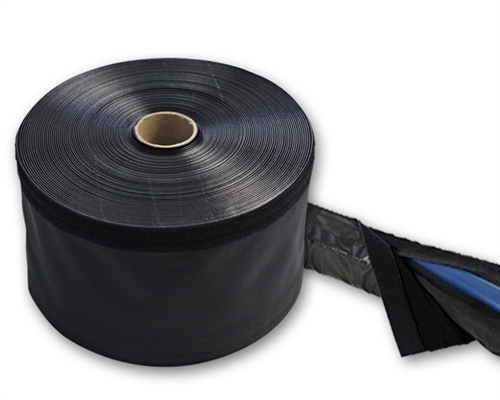 By adding the Insulated Sidewinder wrap you will maximize the thermal retention gain by as much as 25 Delta T difference over a standard hose sock! Coupler sections are designed to protect the unheated hose junctions and provide easy access when making repairs or diagnosing problems. This translates to an immediate improvement of the heat retention in your system. Side Coupler Guard is designed to be a tapered fit over a standard hose while reducing weight and maximizing hose flexibility. Internal Hook and Loop straps located at both ends prevent the guard from shifting back and forth.